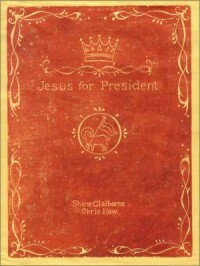 Home » Politics » Election Day Interview: Jesus For President? Updated 8:57AM, Tuesday November 6th, 2012	by Sam Hailes, Christian.co.uk Be the first to comment! “There is an election happening, aint there? !” Shane jokes in his thick southern accent. The 37 year old’s popularity has risen with every deeply challenging book he’s written. UK tours alongside the likes of Tony Campolo and Rend Collective Experiment have also helped catapult the man who sews his own clothes to relative fame. As well as knitting his own clothes with his mother every Christmas, Shane has also worked with Mother Teresea in Calcutta. It doesn’t take long to see the similarities between the two figures messages. “Jesus for President is a project to promote the Christian political imagination to stir our thoughts to imagine what it would look like to see Jesus as the president of our country. “When we hear words like gospel, savior and Lord those were all political words. Every time Jesus opens his mouth he talks about the kingdom of God and that was the same word as empire. There was already an empire and there was already a king so when they proclaim another king and another kingdom it was about political identity and hope. It was political declaration. To say Jesus is Lord was to say Caesar is not. It’s this final complaint that spurs Shane on to see American culture changed. Four years ago, before the last US election, he drove to 30 cities in a bus which ran off waste vegetable oil to embody his message. Does he want US Christians to be politically engaged, or should they avoid the polarized Republican vs Democrat debates? “The real question is not 'are we engaged?' but 'how do we engage?' We need to be peculiar in how we engage. Jesus was amazingly shrewd and slippery when it came to political camps and categories. “You get the sense Jesus was engaging everybody in dialogue. All the political camps, the Essenes, the Sadducees, Pharisees, Zealots and Tax Collectors were all talking to Jesus. He was inviting them all to be a new creation. What are these values of Jesus? For Shane, they are best embodied in the Sermon on the Mount and the Beatitudes. He argues Jesus famous words beginning with “blessed are…” are the antithesis of the common political values. “We don’t hear much about the poor. We hear a lot about the middle class. We don’t hear much about mercy. We hear a lot about not having mercy on our enemies. We don’t hear a lot about peace. 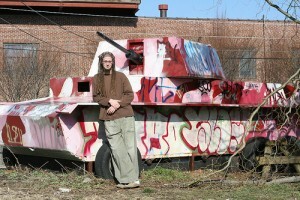 We hear a lot about expanding or maintaining the current military economy. Was Jesus a Marxist or a Capitalist? It was a question Shane has been thinking about ever since he was invited by a Conservative think tank for American Capitalism to debate the question. “I think anything that rhymes in ‘ist’ gets dangerous because Jesus defied categories. “Chesterton was onto something when he said ‘if I’m too conservative for the liberals and too liberal for the conservatives I might be right where Jesus wants me to be’. I think Jesus was pulling the best out of the different camps and categories but refused to be confined to any of them. “There’s no real candidate or party that’s going to fully embody the message and life Christ is calling us to and the vision for the kingdom that Christ offers. We’re making imperfect decisions. What I’ve been encouraging people to think of is rather than seeing voting as our messianic hope, we can look at it as damage control. Seeking to follow Jesus in not aligning himself with a political party, Shane retains remarkable balance when he discusses political figures. He’s barely finished uttering a criticism of Republican George Bush before he balances it by speaking against Democrat Barack Obama. “American politics is riddled with theology. George Bush said on Ellis Island in 2003 that the ideals of America are the light of the world and darkness will not overcome it. There’s a verse that looks almost like that only it’s not America that’s the light of the world, it’s Jesus! We’ve found the last best hope on earth, we’ve found the light of the world and it’s not America! It’s not Mitt Romney or Barack Obama. It’s Jesus! But what about those of us in the UK who won’t be voting for either Romney or Obama. How should the words of Jesus impact our politics? “One of the challenges in Europe is when you have pretty good social infrastructures it can begin to call into question 'what is the role of the Church?' In some sense it can make the Church feel irrelevant or impotent when there’s not visible poverty and 40 million people without healthcare and the train wreck we have here. “I also find that people are often very lonely because you can have good healthcare and be kept breathing but not be alive. You can have a house but not a home. You can have good laws but laws don’t change hearts. “It becomes important to insist there’s a unique role for the Church in reconciling relationships, forgiveness and restorative justice and loving people well. It's no coincidence that in some of the wealthiest parts of the world we have some of the highest rates of loneliness, depression and suicide. My time with Shane is almost over. 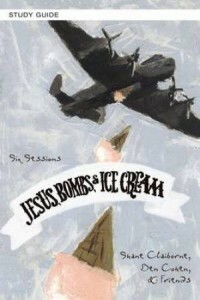 But before he has to go, I discover a fascinating link between the young preacher and Ben and Jerrys ice cream. “A couple of years Ben got in touch with me and said 'I’ve read your Jesus For President book and I liked it'. I said 'I’ve eaten your ice cream and I liked it too!' Before we long we found we had a lot in common. Shane’s careful to make clear he doesn’t agree with the company about everything, but when it came to violence and militarism there was common ground. We’d talked for 30 minutes but there was so much we hadn’t covered: Shane’s time in Calcutta with Mother Teresa, his book with Tony Campolo titled Red Letter Christianity and his involvement in new monasticism are three examples. Shane's campaign to make Evangelicals take seriously the red letters of Jesus is an important one. And if it succeeds the entire landscape of politics and perhaps evangelicalism could be changed over night. 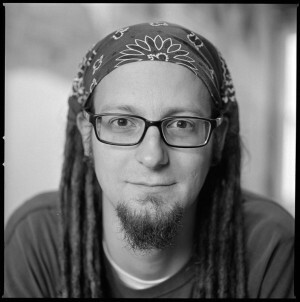 On a day like today, you get the impression that America needs Shane Claiborne.